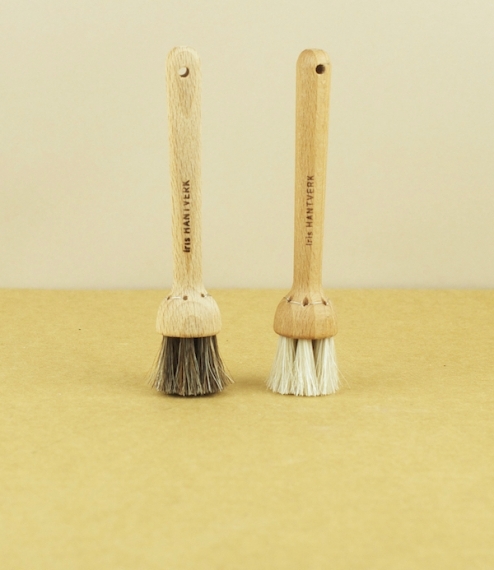 Daubing brushes of beech and horsehair. These round daubers are for the application of polish to shoes or carved furniture, but also make ideal small dusting and cleaning brushes. In Sweden, there is a tradition of visually impaired craftsmen finding work in the manufacture of brushes. This continues today in the form of Iris Hantverk, which not only employs over 30 such individuals but also produces some of the worlds most beautiful and high quality brushes. Dark or light bristle.